Millennials are rewriting the hiring path; Are you bending with them? Millennials differ from previous generations in ways that are causing a stir in the workplace. Companies are scrambling to meet the expectations of this group of workers, changing former methods of how they pursue candidates, how they train current employees, compensation offerings, and more. However, if your organization doesn’t consider its hiring path, these changes may be insufficient for attracting millennial workers. Your company has done everything right in pursuing millennial candidates. You’ve created a job description that is specific and well-defined. Your company brand is complete, accurate, and easily accessible through various outlets, including social media. You offer flexible schedules, perks, and unique opportunities. You may have piqued the interest of the average millennial, but without the right hiring process, she may not respond. Gone are the days of newspaper job advertisements and applicant phone calls as first steps in the interview process. HR has stepped into the digital age, and companies now use a variety of technology when hiring candidates. Millennials are tech-savvy and prone to search for jobs in ways that were not even available to previous generations. A study by Glassdoor shows that almost 75 percent of job seekers use a smartphone for their job hunt, while only 41 percent of them actually apply using their mobile device. This discrepancy is not reason to avoid making an effective mobile application process, but rather an impetus for doing so. Glassdoor found that 38 percent of those surveyed reported that career sites and application processes are not optimized for mobile use, and half of the respondents believed that applying using their mobile device was too difficult. Companies need to expand their usage of digital technology and improve their mobile application process in order to meet the needs of this growing trend, led by millennials. Currently, mobile platforms tend to be clunky and are notorious for requesting unnecessary passwords, requiring duplicate information, and freezing up before submission. Mobile application systems have the potential to meet candidates where they are already – on their smartphone – and provide them with a seamless method of immediately applying for relevant roles. Smartphone technology is only going to improve and your competition will certainly be jumping on the bandwagon with an effective mobile application process, so it’s important to consider updating your mobile platform. By doing so, you can increase your talent pool and your rate of response, improving your overall hiring process for your company and your applicants. With our quick-paced world of microwave meals, instant messages, and news at our fingertips, people tend to get what they want now – if not sooner. With social media and smart devices, we jump from one content platform to another, changing focus each time. A study by Microsoft Canada shows that our attention span is approximately eight seconds, down from twelve seconds in 2000 when the mobile revolution first began. “It is no surprise that increased media consumption and digital lifestyles reduce the ability for consumers to focus for extended periods of time,” says Alyson Gausby, Consumer Insights Lead, Microsoft Canada, adding, “But, I never would have guessed that tech savvy consumers are actually getting better at processing information and encoding that information to memory.” So even as our attention spans are decreasing, our brains are adapting to consume the important information more quickly, allowing us to move onto the next exciting thing. Millennials are leading the pack as the most technologically comfortable generation, and as such, they are pushing for change in offline processes, such as recruitment. Current recruitment processes vary from state to state, type of job, and industry, but the average time to hire in the U.S. is almost 24 days, according to a study by Glassdoor. As fast-paced thinkers, millennials are urging employers to decrease the time from first contact to receiving an offer. Organizations have acknowledged the necessity to cater to the applicant, particularly if they find the perfect match for the role. If you don’t appeal to the needs of a great candidate, you could lose them entirely. Millennials in particular aren’t afraid to move on to the next offer if they feel the first one is taking too long. Millennials are shaking up the workforce, and the recruitment process is evolving. The availability of smart devices has created the urgency for companies to update their mobile hiring process. 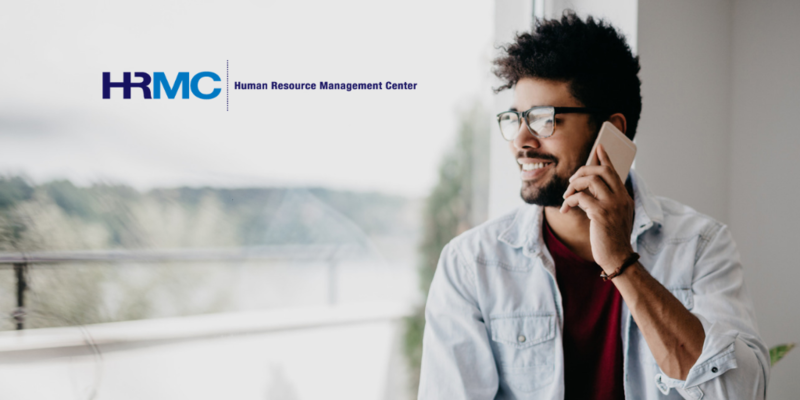 Millennials use their smartphones for much of their job search activities – including searching for jobs, reading reviews, and learning more about companies. The next step is to improve the mobile application capabilities in order to attract this highly tech-savvy generation. By improving your online application procedure and mobile hiring app, you can work towards reducing the length of the overall recruitment process. Millennials are part of an ever-increasing movement of workers who are ready to jump into their new role, and if they are expected to wait for an offer, they may just move on to a company that wants them now. Please enter your information below and we'll be sure to notify you of new posts.